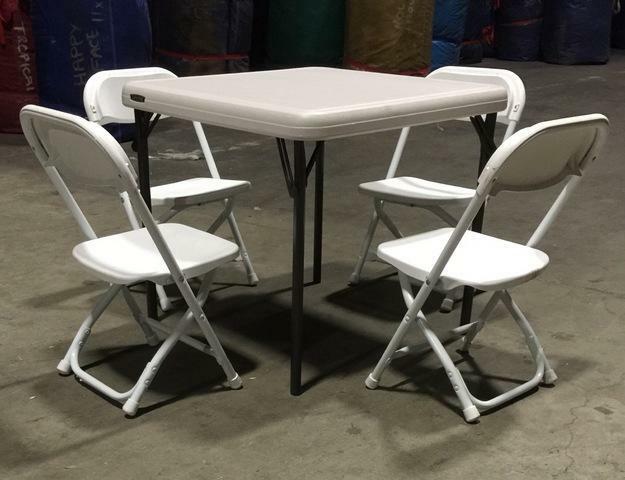 This Kids Table w/ 4 White Chairs saves you $3 off regular price. Table Coverings Are Recommended due to ware and tear. Tables are cleaned weekly, some cleaning may be required if table was used the night before, the driver will do this on site if needed.